This product communicates with Arduino by serial. Please use the slide switch to choose hardware serial or software serial. 5 V or 3.3 V can both be connected to the micro controller board by using jumper socket to choose the preferred I/O voltage. 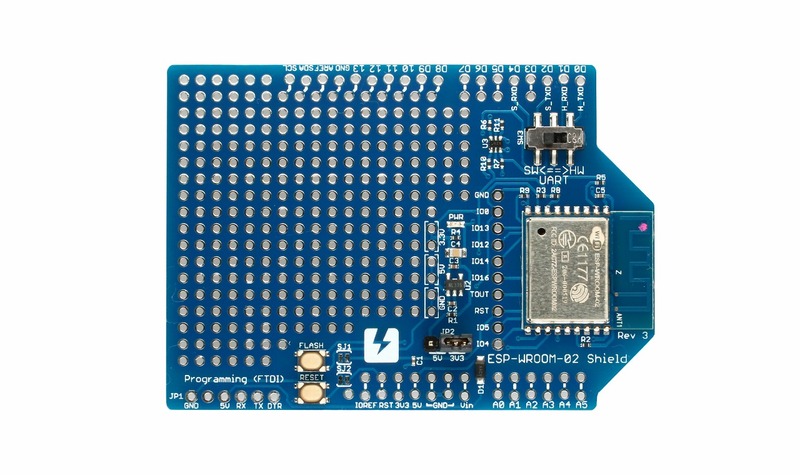 It's handy when you want Wi-Fi communication by micro controller boards with pins headers compatible with Arduino Uno R3, for example FRDM-K64F. The pin header is not included. Please purchase them separately and solder them depending on your usage. Firmware will turn to programming mode by pushing RESET while pushing FLASH and then releasing RESET and FLASH.